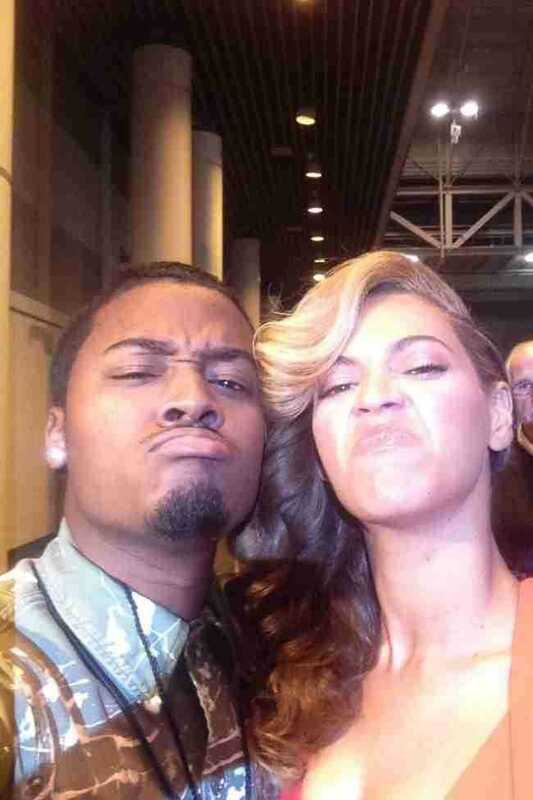 Everyone dreams of taking a picture with their idol. But some celebrities manage to turn every shot into a real performance. Bright Side has collected 19 photos in which the stars are goofing around, playing the ape, and having fun with their fans. 19. Tom Hanks was jogging when he accidentally crashed his fans’ wedding photo session. 17. Elijah Wood knows how to profitably use his height when taking photos with tall girls. 16. 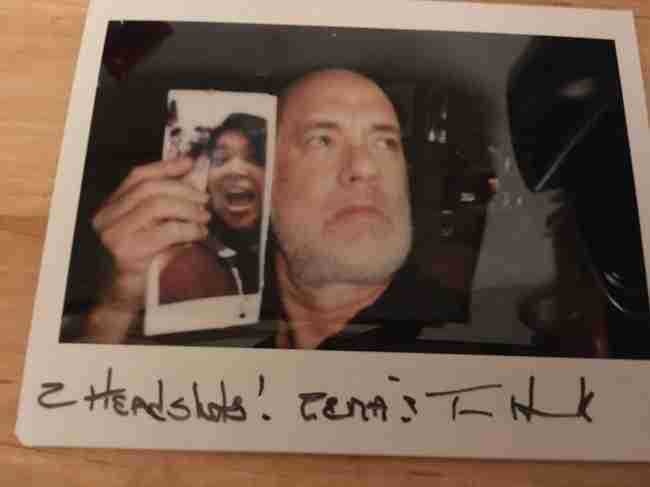 A fan wanted a photo with Tom Hanks but could not meet him. Tom solved this problem. 15. When you want to look cool next to Will Smith. 14. Fabio, the hot romance novel cover model, often meets bunches of his fans. 13. Sting is posing in front of a pretty fan. Later, she will have her own crowd of fans around the world, having become the face of the band No Doubt. 12. 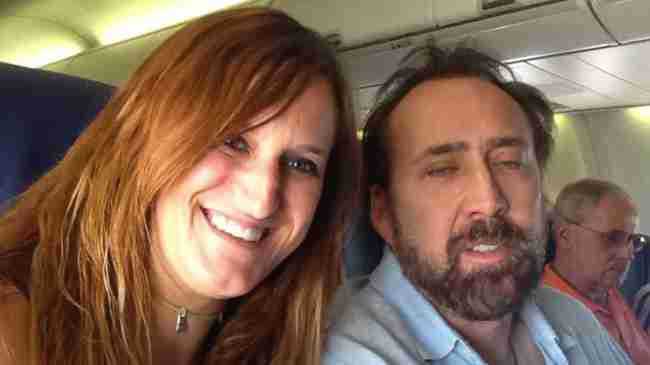 When you are already awake after a tiring flight, and Nicolas Cage is not. 11. A photo with the trophy looks better if you add a kiss with Rihanna. 10. When you are already a celebrity but still secretly take pictures with a movie legend: Neil Patrick Harris and Bill Murray. 9. You went to the local bar to have a bite, and your favorite president is eating a burger at the next table. 8. Nicolas Cage visited his fans in Kazakhstan for the first time and decided to try on their gift right away. 7. When you are wearing an Elmo costume and meeting Magneto and Professor X. 6. Till Lindemann, stuck in Baku with Russian pop singers, appealing to his fans. 5. Alyssa Milano giggling together with a young fan — a little-known Eva Mendes. 4. 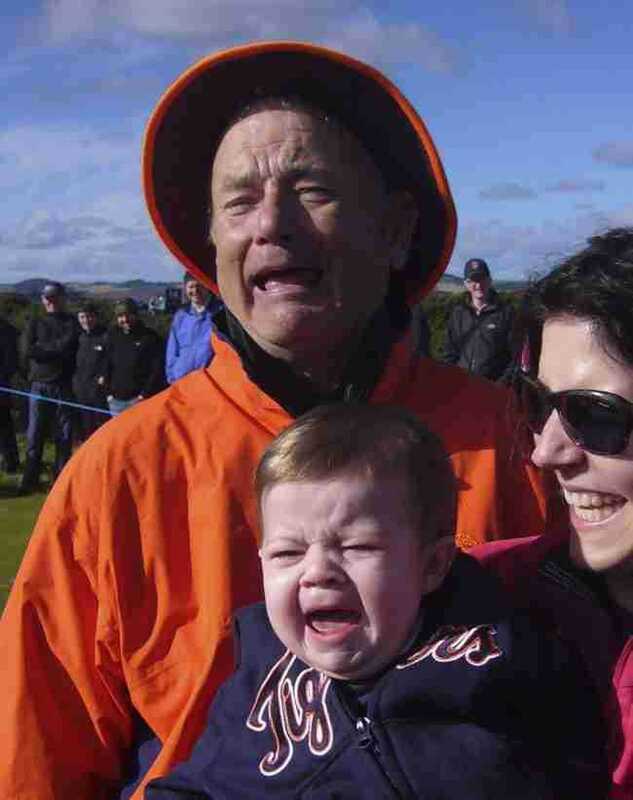 Bill Murray brilliantly imitating his young fan in front of the camera. 3. 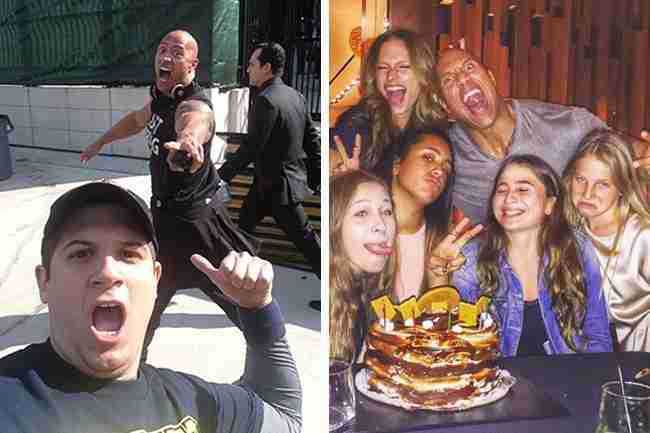 All photos become explosive if Dwayne Johnson is passing by unexpectedly. 2. 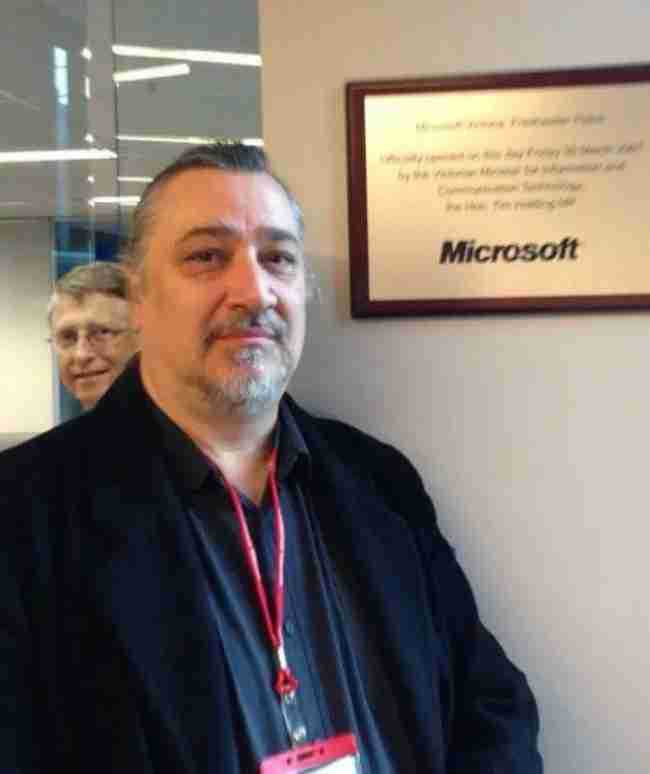 I tried to take a cool selfie in Microsoft’s office, but some guy spoiled the shot. 1. Miley Cyrus and her slightly unpredictable fans.